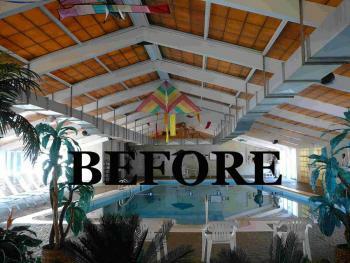 Pool Enclosures, Inc. will re-glaze (remove and replace translucent roof panels) old or damaged commercial (shown below) or residential swimming pool enclosure and greenhouse roofs of other manufacturers, such as IBG and SUNFUN enclosures. 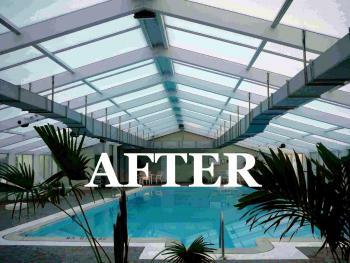 By replacing single-glazed glass greenhouse roofs with energy efficient 25mm thick multiwall polycarbonate, your enclosure becomes an updated and pleasant recreation spot. 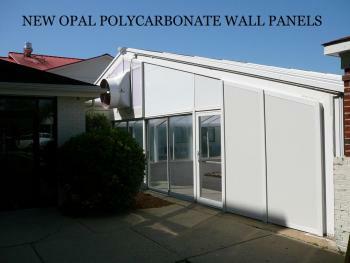 Click here for a photo of a section photo of Opal Polycarbonate typically used. Please contact us at 877-734-2006 for more information. 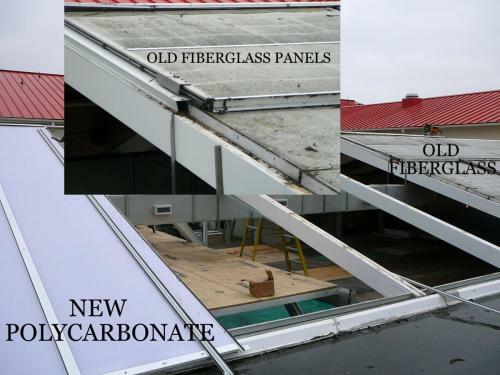 Below is a close-up of 10mm (3/8") polycarbonate with hail damage. 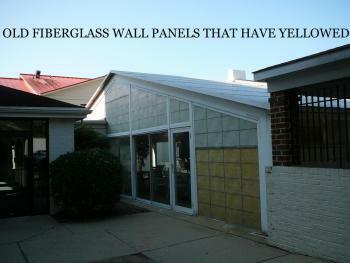 Repairs such as these are typically covered by homeowner's insurance. 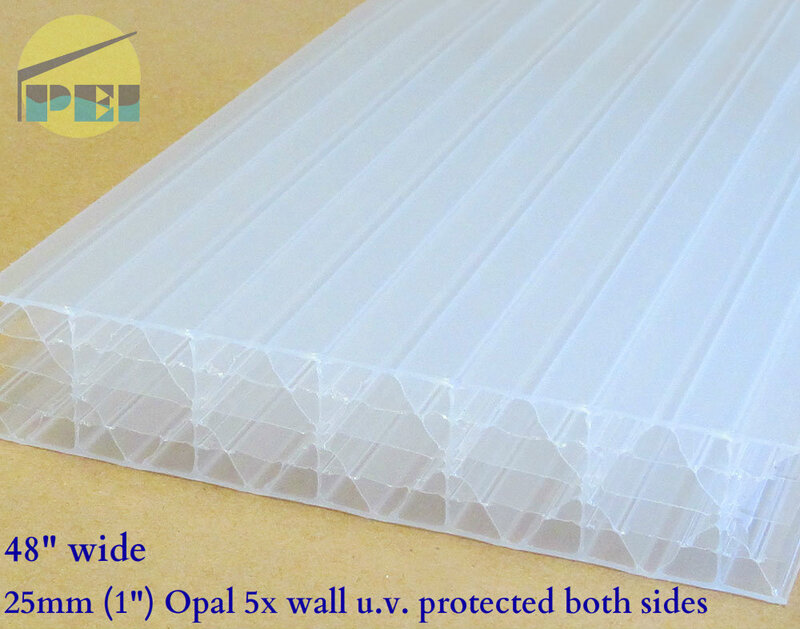 All PEI structures come standard with 25mm (1") thick 5-wall polycarbonate.